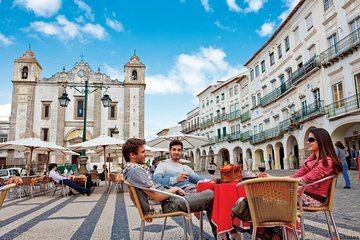 Évora has so much to offer—from historic buildings to excellent cuisine, and great wine. On this full day tour from Lisbon, you’ll get to see the best of Évora’s sites and try its delicious food too. Take the stress out of organizing transfers by having hotel pickup and drop-off included. Your guide will take you to multiple major landmarks including the Roman Temple, the Cathedral of Évora, and Alentejo. A fantastic local lunch with wine is also included.